Just Airports provides Chauffeur driven car services at the most reasonable price in London England. 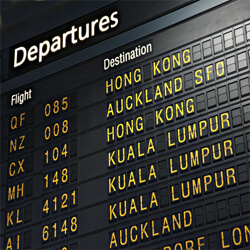 Traveling through air has become quite easy but once you reach the airport the problem of further movement multiplies. Please note that the following clauses shall apply to all Bookings for the Credit and Debit Card Services, which shall include any Booking made by Customer who has elected to pay by debit/credit card. Please note these journeys should be prepaid. 1.1.1 When making a Booking for the Credit and Debit Card Services, the Customer must elect to pay the Company for the Services either by way of a credit card or a debit card payment, details of which shall be processed by the Company. 1.1.2 In consideration for the performance of the Credit and Debit Card Services, the Customer shall pay the Charges by way of a credit or debit card payment which are already included in quoted price such as VAT, Card Handling fee, Admin fee and Parking charges (if pick up from the airport). Please note that the following clauses shall apply to all Bookings for the Cash Services, which shall include any Booking made by Customer who has elected to pay cash to the driver at the time of journey. 2.1 When making a booking for Cash Services, the contract shall be made as between the Company, acting as agent for the Driver, and the Customer in relation to Cash Services and such Contract shall be subject to these Terms, and any reference in these Terms to the Company shall be a reference to the Driver in relation to the provision of the Cash Services and these Terms shall be considered to be the terms of trading between the Driver and the Customer. 2.2 In consideration for the performance of the Cash Services, the Customer shall pay the Charges to the Driver (as principal) upon completion of the Services (ie, upon arrival at the Customer’s destination) or earlier if the Driver shall, at his absolute discretion, decide. 2.3 In respect of Cash Services, payment shall be made in cash and the Driver shall not accept any other form of payment. 2.4 For the avoidance of any doubt the Customer shall not be charged VAT in relation to the payment for any Cash Services. 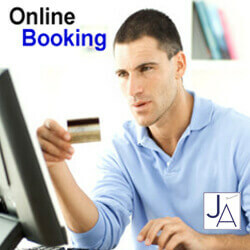 3.1 The price provided to the Customer at the time of making the Booking shall be based on the journey specified by the Customer at the time of Booking (the “Original Journey”). The price quoted by the Company shall be based upon the Company’s chosen route between the Collection Address and the Customer’s destination (via any other pick-up points or drop-off points stated by the Customer at the time of making the Booking). Should the Customer wish to take a specific route (which is different to that taken by the Company) the Company reserves the right to charge the Customer an additional charge in relation to that Booking. 3.2 The Company reserves the right to charge the Customer for any additional costs which may be incurred by the Company as a result of any variation or deviation from the Original Journey specified at the time of Booking. 3.3 The Company shall be entitled to vary the Price List from time to time by giving not less than 10 Business Days written notice to the Customer. 3.4 If a Booking is cancelled by the Customer on or after arrival of the Passenger Vehicle at the Collection Address within Central London, a Cancellation Fee shall be charged. If a Booking is cancelled by a Customer after the Passenger Vehicle has departed to fulfil the Booking (but prior to its arrival at the Collection Address in Central London) the Company shall be entitled, at its sole discretion, to charge a Cancellation Fee. 3.5 If a Booking is cancelled by the Customer on or after arrival of the Passenger Vehicle at a Collection Address outside Central London, a Cancellation Fee shall be charged. If a Booking is cancelled by a Customer after the Passenger Vehicle has departed to fulfil the Booking (but prior to its arrival at the Collection Address outside Central London) the Company shall be entitled, at its sole discretion, to charge a Cancellation Fee. 3.6 The Customer and Passenger(s) and any luggage or personal items shall be ready for collection at the time stipulated by the Customer when the Booking is made. The Company will allow 5 minutes for waiting or loading when picking up Passenger(s). In the event that all booked Passenger(s) have not boarded the Passenger Vehicle within 5 minutes of the stipulated time the Company reserves the right to charge the Customer a Waiting Time Fee proportionate to the delay in departure from the Collection Address, which will, for the avoidance of doubt, include the first 5 minutes. 3.7 In relation to collection of the Customer and any Passenger(s) from an airport, the Company will allow 90 minutes waiting time starting from the last known estimated arrival time of an inbound international flight (the Company will allow 90 minutes waiting time from the last known estimated arrival time of an inbound domestic flight). . For the purposes of this clause the “last known estimated arrival time” will either be (a) if the Customer provides a flight number at the time of making the Booking, the Company will monitor the relevant flight and alter the collection time accordingly; or (b) if the Customer does not provide a flight number, the time which has been specified by the Customer. There are no extra charges for flight delays or flight cancellations by the airlines. 3.8 All car parking fees will be chargeable to the Customer for collections from airports, seaports, international and domestic train terminals. 3.9 In the event that the Customer requires the Company during the course of the Original Journey to make any alterative pick-up(s) or collection(s) of Passenger(s) during the course of the Original Journey or to drop off Passengers at any locations other than as specified in the Original Journey or to take any variation from the Original Journey as specified at the time of Booking, additional charges may be applied by the Company. 3.10 In the event that the Customer requires more passengers to travel in a Passenger Vehicle which were not specified at the time of booking, additional charges may be levied by the Company for the provision of a larger Passenger Vehicle or the carriage of additional Passengers in excess of four. 3.11 The Company shall be entitled to exercise a lien over any property belonging to the Customer in its possession pending payment of any Charges due to the Company. 3.12 The Company reserves the right to charge the Customer a surcharge for all journeys made during the Christmas Period, New year period and event days. 4.2 If you purport to cancel a Contract other than pursuant such as flight cancellation or flight delay (for airport pick-ups only), then we are under no obligation to accept such cancellation or to process any refund of pre-paid charges for such Contract. 4.3 Refunds for journeys paid by Credit\Debit card: Any refunds for journeys cancelled (with in cooling off period) will be subject to minimum Admin Fee of £10 + VAT (at current rate). In case of the booking being cancelled within 2 hours of the pickup time within or outside London postcodes, no refund for the journey will be given. For cancellations other than these time frames please contact company. 4.4 Please note should you be unable to make contact with your driver at the pickup point, the onus is on you, the customer to contact our operation centre by telephone at the time, so that we can put you in contact with the driver to facilitate the pickup. Should you fail to do so and travel by alternative means without notifying us we reserve the right to charge for the journey as booked, plus any additional waiting time and car park charges incurred to the point when we abandon the journey. 4.5 We will usually refund any money received from you using the same method originally used by you to pay for your purchase. 5.1 The Company may, in its absolute discretion, decline to accept any Booking. 5.2 The Company shall use reasonable endeavours to provide a Passenger Vehicle in good working order of the type specified by the Customer (or, in the event that such a vehicle is not available, a reasonable alternative vehicle) within any time for so doing given by the Company or within a reasonable time. 5.3 In providing the Passenger Services, a Driver shall choose, at his/her sole discretion, the route from the Collection Address to the Customer’s destination. If a Customer requests that a specific route is taken, any price quoted in respect of such journey may be amended. 5.4 Customers must inform the Company at the time of making a booking if the Customer or any Passenger wishes to carry any domestic animals in any Passenger Vehicle. All domestic animals should be carried in a suitable box or cage, if appropriate and/or be suitably restrained. The Company and/or the Driver reserve the right to cancel a booking on arrival if the Company has not been informed of the Customer’s requirement to carry an animal in the Passenger Vehicle. There are some additional charges to carry pets in the vehicle. 5.5 Passengers are not permitted to smoke in any Passenger Vehicle. 5.6 Passengers shall not play any musical instrument or recorded music in any Passenger Vehicle except with the written permission of the Company. 5.7 Passengers shall not consume alcohol in any Passenger Vehicle except with the written permission of the Company and the Company reserves the right to decline carriage to any Passenger who, in its opinion, is intoxicated. 5.9 The Company accepts no responsibility for the loss or damage to any luggage which is transported in a Passenger Vehicle. The Customer acknowledges and accepts that any luggage stored in the Passenger Vehicle may move around during the journey and accordingly the Customer (and any Passengers) should take extra care when opening the luggage compartment of the Passenger Vehicle. 5.10 Passengers are required to comply with current customs laws and regulations and the Company shall not be responsible for any delays caused by any failure to comply with the same. 5.11 All Passengers are required to use seatbelts at all times. 5.13 The Company reserves the right to refuse to transport any Passenger who behaves in a disorderly, threatening or abusive manner or who, in its absolute discretion, the Company considers a nuisance or a danger to its employees, agents, subcontractors or to fellow Passengers. The Company is committed to providing services in accordance with the Equality Act. The Company will do what it reasonably can to assist those who are not capable of boarding and alighting a Passenger Vehicle unaided. 5.14 The Company reserves the right to charge reasonable cleaning charges plus three hours loss of earnings for the driver at our normal hourly rate in the event of spillages or in the event that any Passenger vomits or otherwise soils or damages a Passenger Vehicle. 5.15 Any dates, periods or times specified by the Company in connection with the performance of the Passenger Services are estimates only and time shall not be of the essence for the performance by the Company of its obligations under the Contract. The Company makes no warranty that the Customer or Customer's goods or property shall be delivered within the Customer’s stipulated time period (if any) and/or within any time period stated by the Company unless expressly agreed in writing by a director of the Company. 5.16 The Company shall not be responsible for any property left by Passengers in any Passenger Vehicle. Such property will be stored by the Company for a period of 10 days and thereafter the Company shall be entitled to return, destroy or otherwise dispose of such property as it, in its absolute discretion, sees fit. 6.1 These Terms shall be incorporated and form part of all Contracts for the provision of the Services by the Company to the Customer. 6.2 Each party acknowledges that it is not relying on any statements, warranties or representations given or made by the other whether actual or implied by common law or under statute in relation to the subject matter of any Contract and that it shall have no rights or remedies with respect to such subject matter otherwise than under the relevant Contract. 6.3.2 operate as a waiver of it. 6.4 The Customer agrees to indemnify and keep the Company fully indemnified from and against any direct and indirect losses, claims, expenses, damages or liability whatsoever incurred or suffered by the Company as a result of the negligence, acts or omissions or default under the Contract by the Customer, or any Passengers, employees, agents or subcontractors. 6.5 The Customer shall be liable for any damage caused by Passengers to any Passenger Vehicle. 6.6 The Company shall not be liable to the Customer for any loss of anticipated savings, business revenues, or profits whether categorised as direct or indirect or any indirect, special or consequential loss (including losses arising from business interruption, wasted management time, loss of goodwill, data and all other such loss whether or not arising in the normal course of business). 6.7 The Company shall not be liable to the Customer or be deemed to be in breach of the Contract by reason of any delay in performing or any failure to perform any of the Company's obligations under the Contract if the delay or failure was due to any circumstances or cause beyond the Company's reasonable control. 6.8 The Company shall, in any event, have no liability in respect of any claim, howsoever arising, that is not notified to the Company by the Customer, in writing, with sufficient particularity, to identify the nature and the quantum of the claim within fourteen days of the occurrence of the circumstances giving rise to the claim. 6.10 Any complaints relating to the Services shall be addressed to the Company and made in writing within 14 days of the event giving rise to the complaint. 6.11 Termination of this Contract shall be without prejudice to any rights and/or obligations of the Company and/or the Customer accruing prior to the date of such termination. 6.12 Any notice required or permitted to be given by either party to the other under these Terms, shall be in writing and may be given personally or sent by fax or by prepaid registered post to the other party at its registered office or principal place or business or such other address as may at the relevant time have been notified as that party's address for service. Any notice sent by facsimile shall, in the case of a facsimile sent before 5.30 pm on a Business Day, be deemed served on receipt of a successful transmission notice and, in the case of a facsimile sent after 5.30 pm on a Business Day, at 10 am on the next following Business Day. Any notice served by registered post shall be deemed served 48 hours after posting to an address in the United Kingdom or 5 Business Days after posting to an address outside the United Kingdom. In proving the service of any notice it will be sufficient to prove, in the case of a registered post letter to provide proof of delivery and, in the case of a facsimile, that such a facsimile was duly despatched to a current fax number of the addressee by providing a confirmation of fax dispatch report. 6.13 A person who is not a party to any Contract shall not have any rights under or in connection with it. 6.14 The Company reserves the right to subcontract or delegate in any manner any or all of its obligations under any Contract to any third party or agent. 6.15 If any provision of these Terms, which is not of a fundamental nature, is held by any court or other competent authority to be invalid or unenforceable in whole or in part, such part, term or provision shall be deemed deleted from these Terms and the remainder shall not be affected. Should the foregoing apply the parties shall use all reasonable endeavours to agree upon any lawful and reasonable changes to these Terms which may be necessary in order to effect, as close as possible, to give effect to the commercial intent of these Terms. 6.16 The Company reserves the right to amend these Terms at any time upon written notice to the Customer. Notice of non-material amendments to these Terms shall be posted on the Company’s website. 6.17 These Terms shall be governed by and construed in accordance with English Law and the parties agree to submit to the exclusive jurisdiction of the Courts of England and Wales. The Provider will give the Customer the chance to refuse any marketing email from the Provider or from another trader in the future. The type of information the Provider will collect about the Customer includes their name, address, phone number, email address and credit/debit card details. We do not store credit card details nor do we share customer financial details with any 3rd parties. The Provider will never collect sensitive information about the Customer without their explicit consent. For the purposes of the Data Protection Act 1998 the data controller is JUST AIRPORTS CHAUFFEUR SERVICES LIMITED. Company House Registration Number 03834175.